We only offer the best fireplaces, stoves, and fireplace inserts from the top rated & most-respected manufacturers in the hearth industry. Customers travel from all over Amador County & Calaveras County, including Ione, Sutter Creek, Wilseyville, Volcano, San Andreas, and Amador City, to our Jackson CA hearth store to shop at our fully stocked showroom. Fireplace Xtrordinair provides homeowners with gas, wood, & electric fireplaces & fireplace inserts, each custom-crafted with special attention to detail. With reputation for energy efficiency & innovative design, Fireplace Xtrordinair crafts & constructs each of their hearth appliances right here in the U.S. Combining the latest in aesthetic advances with powerful heating technology, Hearthstone creates some of the top rated soapstone stoves currently available on the market. Choose from a great selection of soapstone wood & gas fireplaces, stoves, and fireplace inserts. Offering the best selection in eco-friendly & sustainable heating solutions, the Enerzone brand has a beautiful selection wood stoves, pellet stoves, wood inserts, and wood burning fireplaces. The Ambiance brand consulted with more than one hundred veteran hearth store owners from across the US and Canada to create the most innovative, easy-to-use, and well-engineered gas fireplaces and fireplace inserts available. 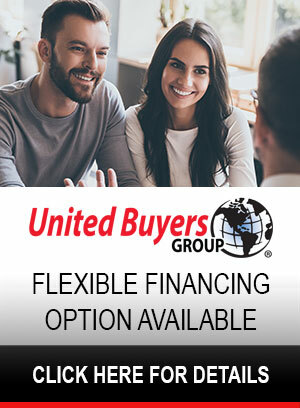 Browse this incredible selection of customizable gas appliances in our showroom today. Kozy Heat offers a complete line of direct-vent gas fireplaces, gas inserts & wood fireplaces, and accessories. With a reputation of quality & value, it's no wonder why homeowners love choosing a Kozy Heat fireplace. America's premium manufacturer of quality wood and gas burning fireplaces & wood, gas and pellet stoves & fireplace inserts for over 25 years. 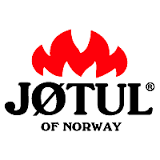 Lopi products are innovation, efficient, and are built in the U.S.
As one of the very first producers of heating stoves stoves, inserts and fireplaces, Jotul is a brand that is synonymous with incredible craftmanship, quality products, and innovative heating solutions. Enviro uses cutting edge technologies such as CAD (computer aided design) and a state-of-the-art steel cutting laser to give you the best heating solution for your home that meets the highest standards of engineering and performance. Amantii electric fireplaces, stoves & fireplace inserts are perfect for homes, offices, restaurants or commercial settings. They're clean, beautiful, and extremely realistic, fooling even the most discerning homeowners & guests. The Valcourt Brand of wood fireplaces is part of a Canadian family-owned enterprise dedicated to the design & manufacturing of the best residential heating appliances sold around the world. We offer a great selection of high performance wood fireplaces and wood fireplace/oven combinations. Kuma Stoves is home to both the highest efficiency rated stove in North America, and the industry leading "It's Covered" warranty. We are still a family owned and operated business located in the mountains of north Idaho, and we've been manufacturing some of the highest quality hearth products available since 1981. All of our products are made in our Idaho facility, and we strive to use only the highest quality, made in USA, components available.